Save the Date: 4th Annual Working But Still Poor Conference! Do not miss our 4th Annual Working But Still Poor Conference on Friday, March 28th, 2014! 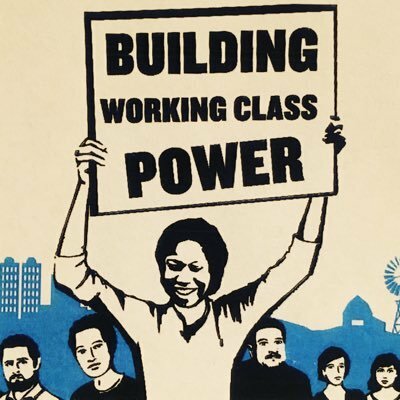 Our conference theme this year is organizing in solidarity for economic justice on Long Island. Our workshops will reflect on the specific needs of our communities and how we can organize around the systemic structures that keep people struggling. Topics include navigating systems to help immigrants, organizing to meet Long Island’s transportation needs, moving from charity to social justice advocacy, and many more! 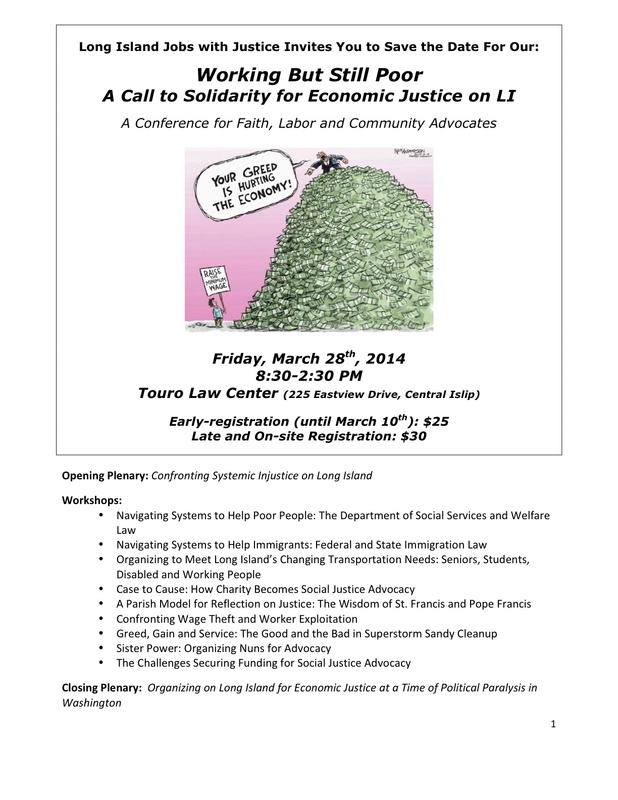 The Conference will be held on Friday, March 28th, from 8:30am to 2:30pm at Touro Law Center in Central Islip. Early-registration (before March 10th) is $25 and late or on-site registration will be $30. Registration fee includes both breakfast and lunch. Registration sign-up will be available soon.